Sunset View Apartments offers 1 & 2 bedroom apartments. Please select a unit that you like, fill out your name, number, and email, and you will be redirected to our quick and convenient online application. Not seeing what you're looking for? Availability changes every day, if you tell us what your needs are we’ll call you when availability changes. Your home. Your life. Your way. 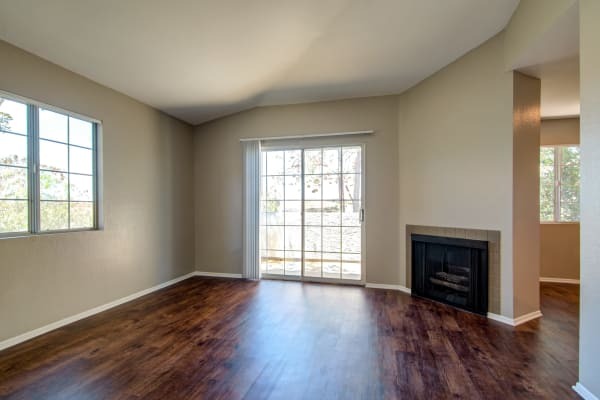 If you are looking for a spacious one or two bedroom apartment for rent in Oceanside, CA, welcome home to Sunset View Apartments. We offer three unique luxury floor plans ranging from 760 sq. ft. – 1,000 sq. ft. Our scenic hilltop community is here to help you find the right-sized home. Choose the space that suits your lifestyle. Our apartment homes offer beautifully upgraded kitchens with sleek high-end kitchen appliances. You can host your friends for a casual get-together or prepare a restaurant-quality meal with ease in your new home. A convenient dishwasher keeps cleanup stress-free. Our spaces are built to impress at Sunset View Apartments. In addition to our high-quality upgrades, each of our Oceanside, California, apartments for rent offers a timesaving in-home washer and dryer as well as spacious walk-in closets to keep your wardrobe fresh. Our homes also offer a deluxe private balcony or fenced-in yard where you can take in the ocean breeze while enjoying a glass of your favorite local wine. Three Spacious Floor Plans Ranging From 760 sq. ft. – 1,000 sq. ft.
To reserve your hilltop retreat, call Sunset View Apartments to schedule your tour of our Oceanside, California, apartments for rent in San Diego County.